Elva Mason Holland joins Gavin Law Offices in an of Counsel relationship. She has worked in major law firms and as in-house counsel in litigation, corporate, entertainment and international law. She has worked on and negotiated deals and provided legal assistance for talent in most facets of entertainment, including national television, radio, performance agreements, international touring deals, recording and production, and major motion picture and documentary film. 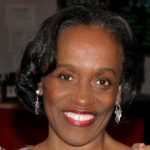 In addition, she has managed and continues to manage media for a host of experts and celebrities, who have appeared on national and international media; including, CNN, CNN International, MSNBC, Fox News, Fox Business, The Today Show, CBS Early Morning, Good Morning America, 20/20, Tru TV, TV One, Bet, Extra, E Entertainment, PBS, NPR, Sirius XM, Hallmark Channel, Telemundo, Univision and more. Her client roster includes a who’s who of talent, both legal and management, in all genres of media and music including jazz, Latin, R & B and gospel. Mason has also worked on television productions, including the television special tribute to the legendary Tito Puente (“In My Father’s Shoes” a tribute to Tito Puente) – BET Jazz and BET, where she was both the legal advisor and associate producer.